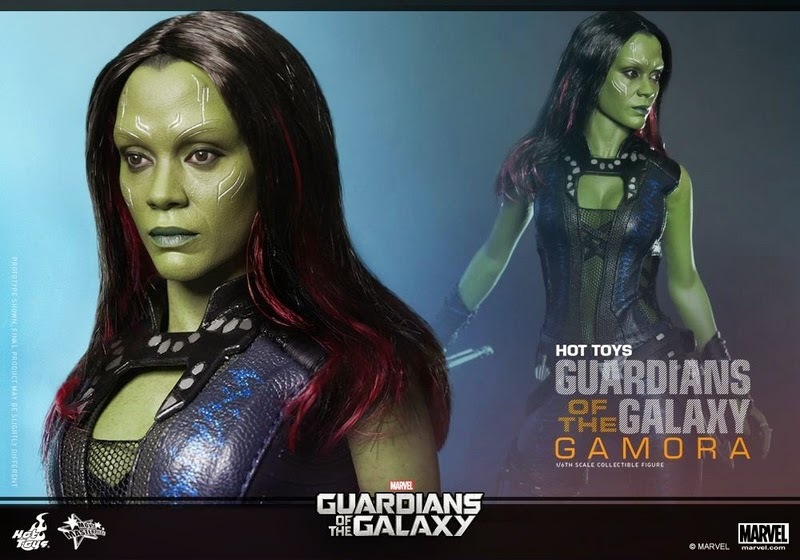 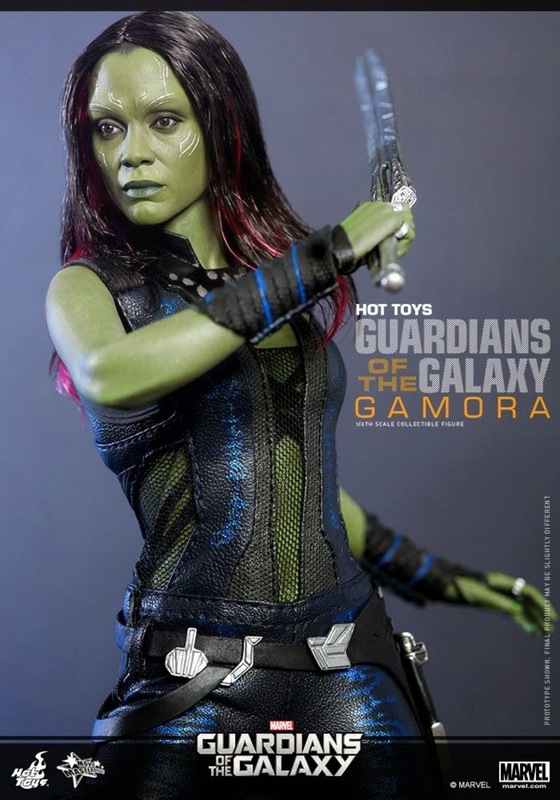 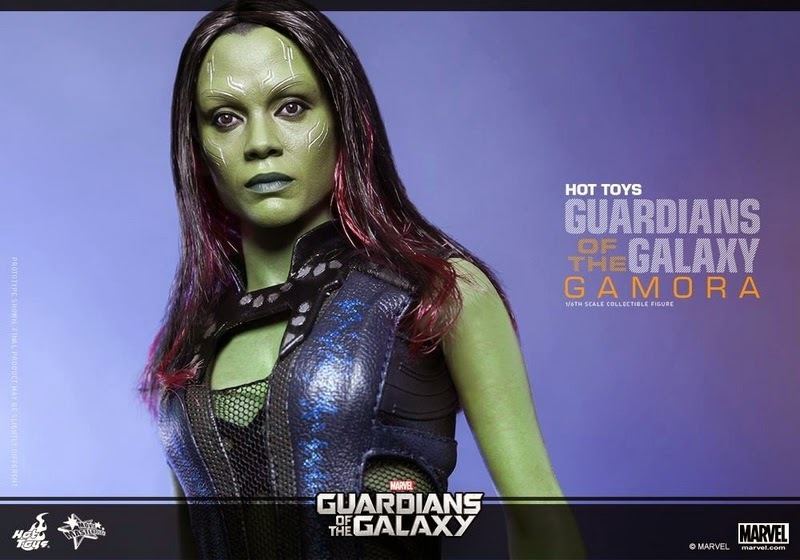 We all know that Hot Toys are masters of their craft and the pinnacle of action figure collecting, but-- holy crap-- the head sculpt on this figure looks dead on like Zoe Saldana! 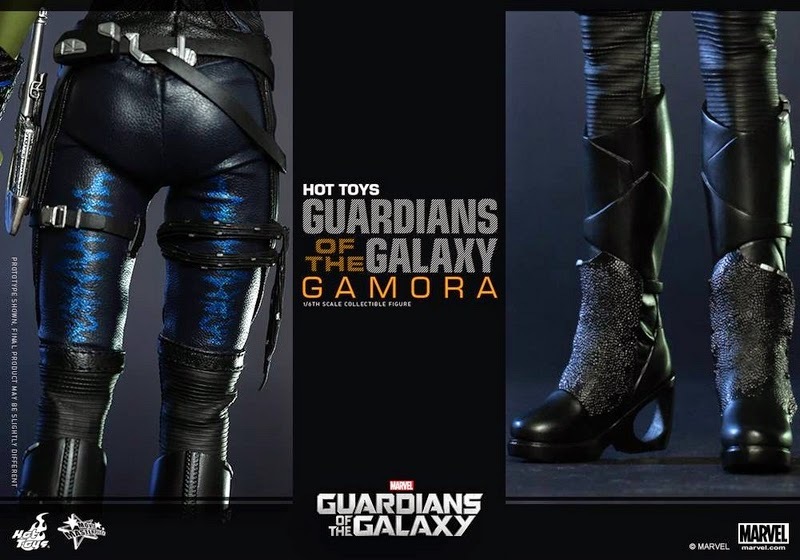 This might be the very first time that I literally can not tell that these close ups are of a sculpted figure-- they look so damned real! 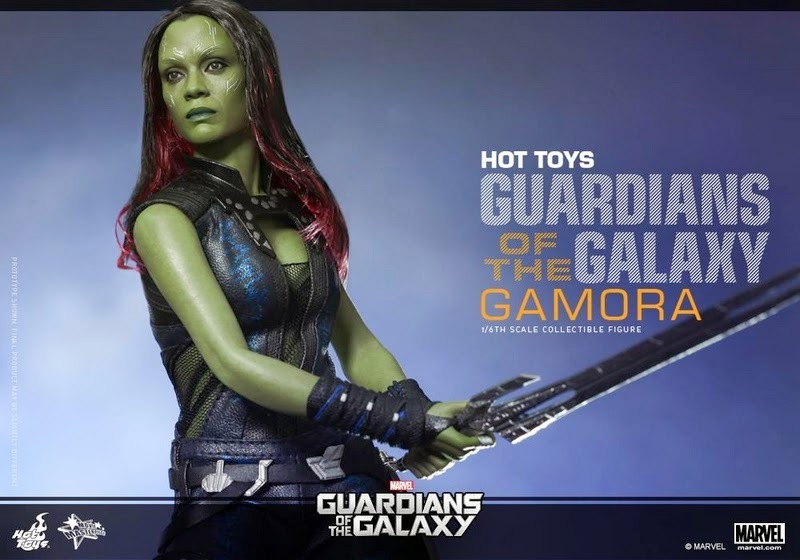 After seeing the film, I'm even more excited than ever to add the Guardians of the Galaxy to my collection, but by the time they're all released, it will be at least a full year from now, that's the only bummer. 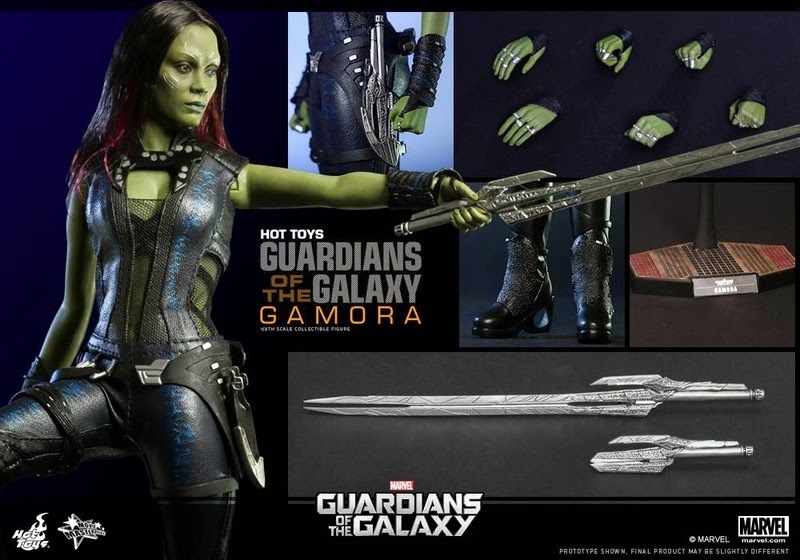 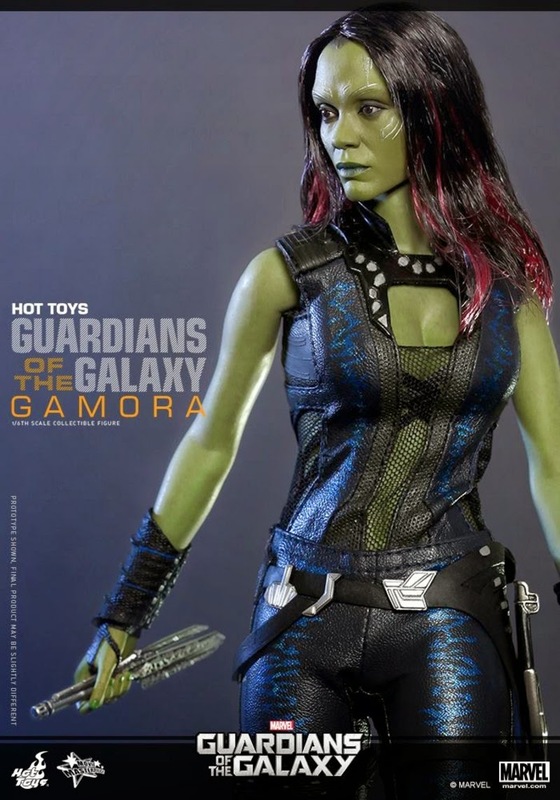 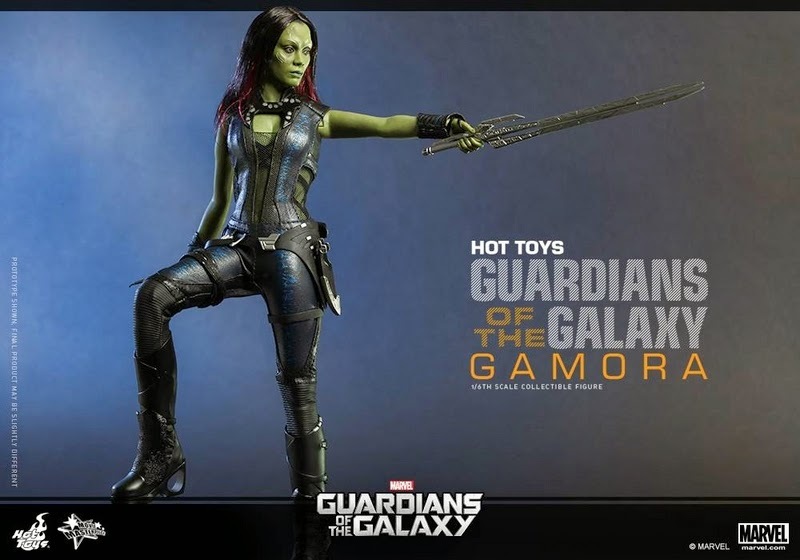 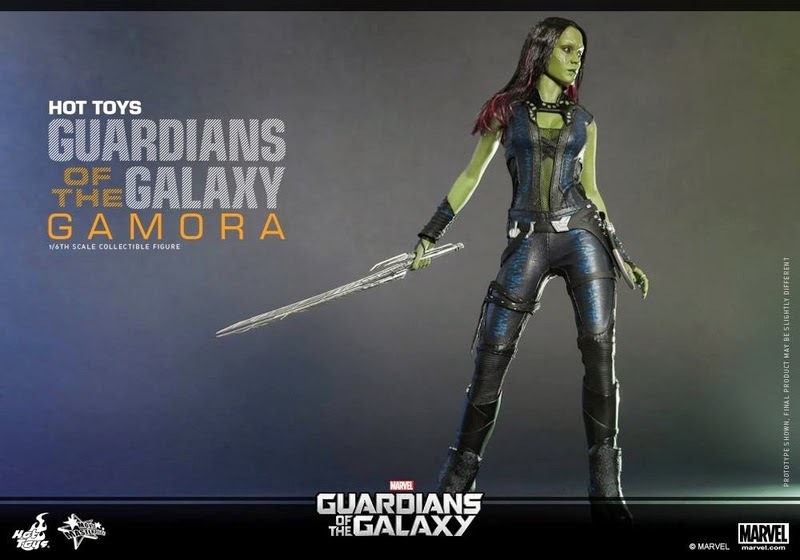 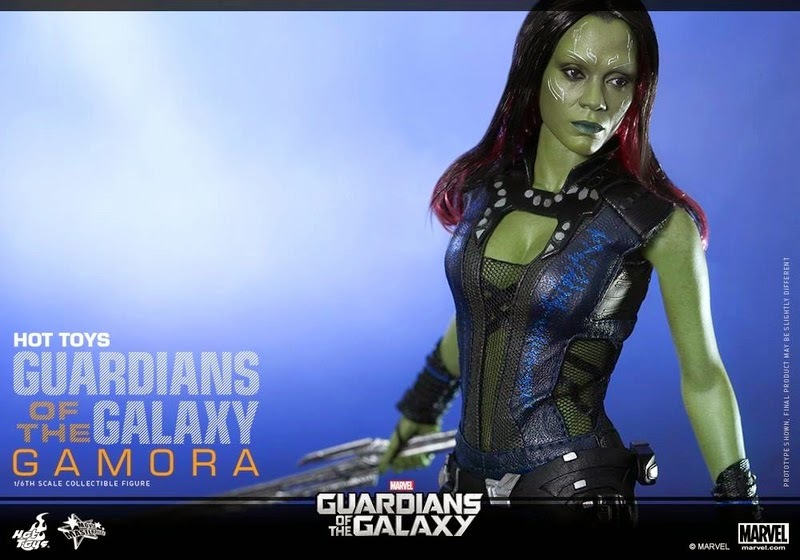 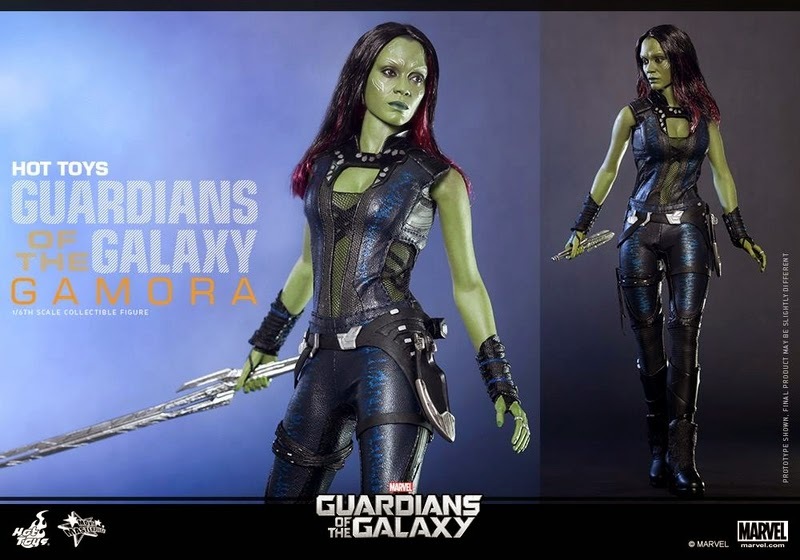 So far, we know that Hot Toys will be producing all the Guardians, but I'd also love to see a Ronin and Nebula, too. 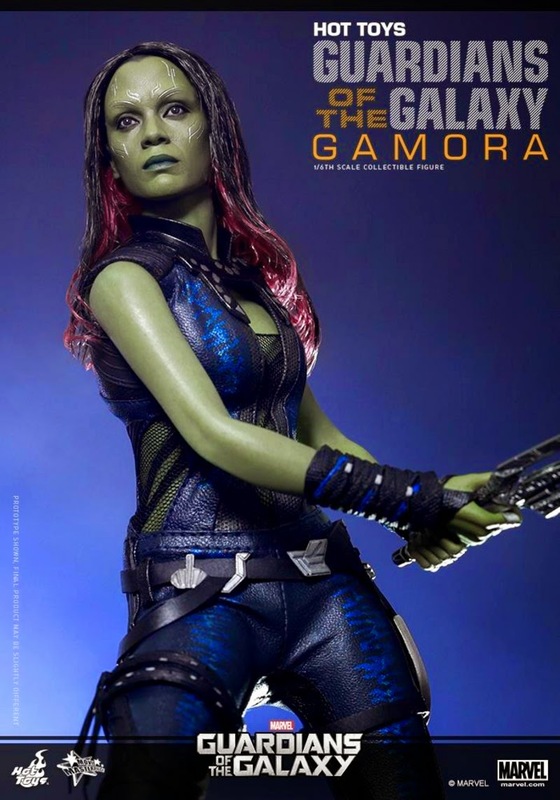 With the smashing success of the film, I'm feeling pretty good about those chances.